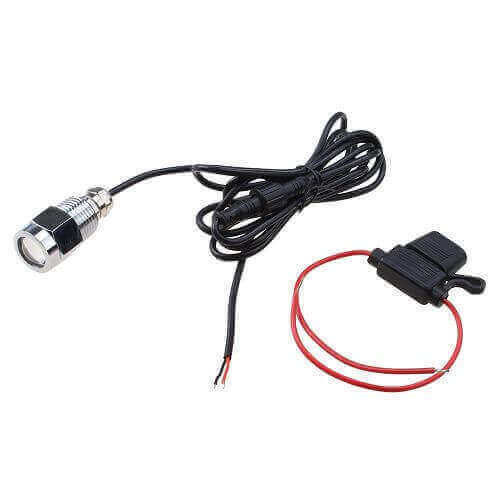 Illuminate your boat with bright underwater light using the Imarineled Underwater Boat Drain Plug LED Light- 6 LED 1/2″ NPT 12V 9W. This model produces a bright and powerful 720 lumen and uses only a single 9W LED to deliver incredibly efficient projection in the water. WATERPROOF & VIBRATION PROOF: Everything is carefully designed when it comes to this amazing 6 LED Light! The shell is made of bronze, known for its efficient anti-corrosive effect. The shell surface is chrome plated that will bright the glossiness and will further enhance corrosion resistance and wear resistance! With shake proof pattern, it is totally safe to use it when cruising as the engine motion will have zero effects on it! GREAT LIGHTING SYSTEM & ENERGY SAVING: You want this great light for your boat but you are worried that it will be too consuming on energy? Do not worry! The product is designed to offer ample lighting with the minimum energy consumption! 6 High power CREE LED lamps will provide you with luminous flux and efficiency! DURABLE AND SMART DESIGN: This light it designed to be heat resistant! 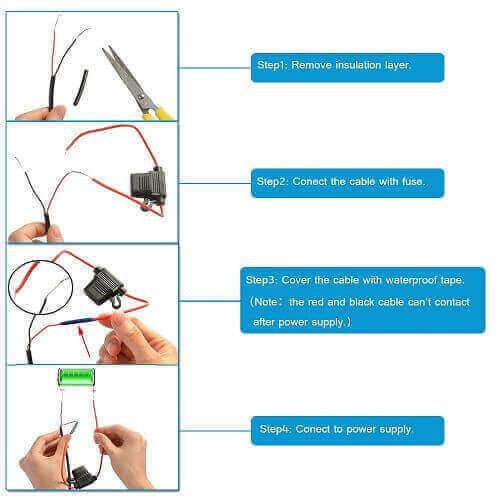 It features newly upgraded thermal conductive packaging technology which makes great heat dissipation power and extends service life for more than 1 year! A REMARKABLE CHANGE FOR YOUR VESSEL: If your yacht or boat is your pride and joy, make sure that you treat it with care and you will be rewarded by incredible results! This affordable option will transform the regular appearance of your ship offering a magnificent effect thanks to the blue underwater light! Your night cruises will be more ambient than ever and there is no way that you yacht will pass unnoticed! MULTIPLE USEFUL FUNCTIONS: The first thing that you will notice when you use this light, it will be how great your boat looks! But there is more than that! The illuminated water will maximize the pleasure of your night activities such as fishing, swimming or diving and will definitely provide you with safety! This product will make your drain plug easier to locate on the boat, especially at night or in bad weather conditions. 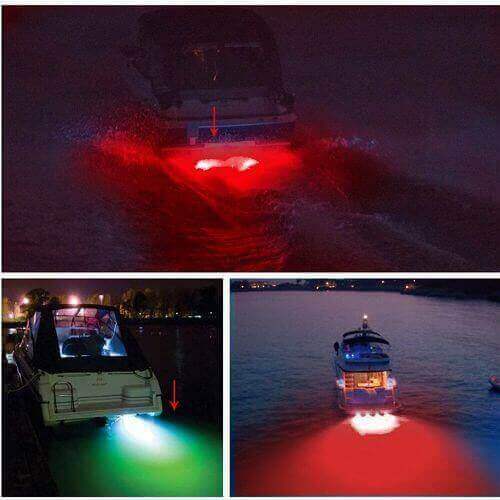 The light it emits improves your boat's appearance and overall style! 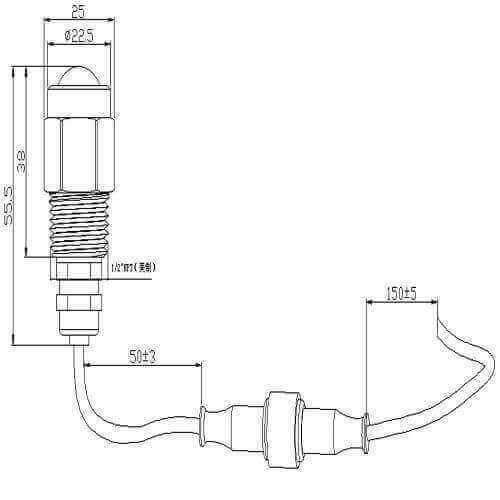 This boat drain plug light features a simple one-piece design and can be mounted through your boat’s drain plug for easy installation. – Amazing 9W Underwater Boat Drain Plug LED Light- 1/2″ NPT Threaded. 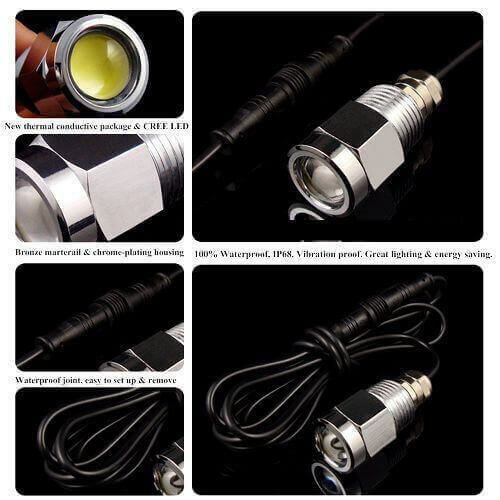 – Single LEDs of 1.5W x 6 LED included which makes a total of 9W for super bright under waters. – Quality Bronze housing materials, 100% guaranteed anti-corrosion. – No modifications necessary on the boat! Product is well-designed and easy to screw into your existing boat’s garboard drain with our 1/2” NPT threads! Standard “1/2 NPT thread type, connected with 2 meters cable. 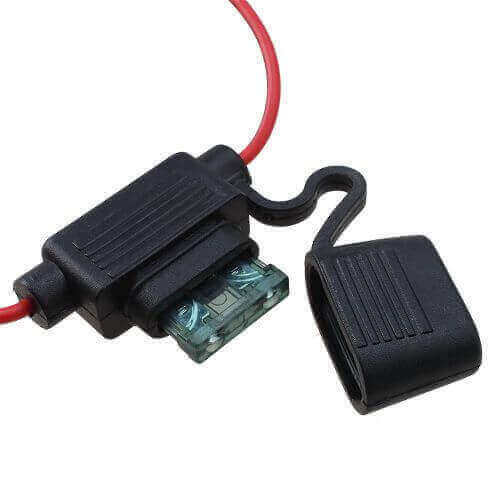 – Connected with waterproof connector in order to make installation easy and quick, no drilling, just screw it into the holes on your boat. – Totally sealed with IP68 Waterproof rating. – Superior design and craftsmanship LED Lights that makes them perfect for night fishing, diving and night boating activities in general. Great lighting system to attract fish baits or lobsters or just for nighttime illumination. – Catch more fish with these LEDs! – Helps when loading your boat in a dark spot like a ramp with little light. – Light up your boat ramps and make sure you see and are seen on the water. – Great addition to your boat! 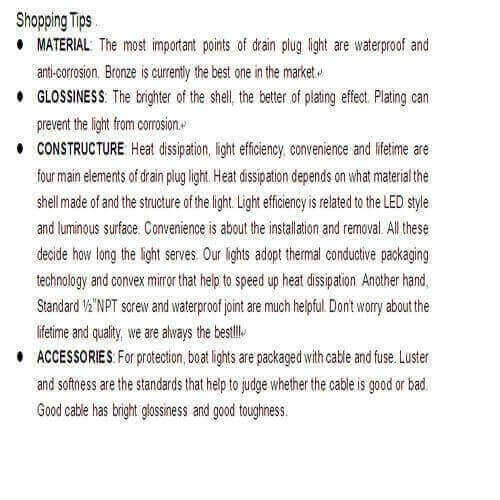 Why choose our Drain Plug Underwater LED Boat Lights? Ease of installation, no drilling holes in your boat. Strong Stainless steel 316L waterproof housing, built to resist! Bright LED Lights, 380 Lumens. Designed to last around 100,000 hours and more. Power consumption, less than 1 amp of power – lowest in the boating industry. Low profile waterproof light design. Great investment, can be easily transferred to another boat. STARTING TODAY: Give A Whole New Essence To Your Cruising Experience Using Underwater LED Lights! Renovating your boat or yacht would definitely cost loads of money. Fortunately, there is a way to improve your watercraft both in appearance and functionality; and always on a budget thanks to iMarine Led! Introducing The Amazing Underwater Boat Drain Plug LED Light And Make Your Yacht Stand Out! There is nothing more relaxing and calming than a night cruise, right? Maximize your pleasure with this amazing light! It will illuminate broadly the water with a beautiful blue color creating a magnificent ambient! Nighttime Water Activities Have Never Been More Appealing! You like night swimming but sometimes you are discouraged to do it as the total darkness makes you feel insecure? Don’t worry! You can now enjoy swimming or diving like never before! When it comes to fishing, you will definitely love how easy it to catch more fish! The LED light will attract the fish near your boat, offering you the opportunity to catch a bigger haul! Last But Not Least: Take Care Of Your Safety- Eliminate Possible Dangers! Total darkness may be ambient but dangerous at the same time! Don’t forget to be cautious against possible threats! The lights will not only make your boat visible to other boaters from a considerable distance but it will also provide a clear view of the surroundings for you! Don’t Miss The Chance To Enjoy The Ultimate Cruising Experience! Order Today!